Membership in the Quincy Gillmore CWRT is open to anyone with an active interest in the study of the military, political, and social aspects of the American Civil War, including the events leading up to the Civil War and the events of the Reconstruction Era. Meetings are held the second Monday of September and the first Mondays October through May, on the campus of the Lorain County Community College. Meetings start at 6:30 pm. The Fugitive Slave Law of 1850 created a firestorm of opposition throughout the North but particularly in Ohio and Lorain County. Ron Gorman of the Oberlin Heritage Center will discuss Ohio's resistance to the law at our March meeting. Ron has been a docent, blogger, lecturer and researcher at OHC since 2012 and has been honored with its 2015 Community Historian award. He is an active poster and is now a retired moderator of "civilwartalk.com". By profession, Ron is a software engineer and has his own database consulting business. The meeting and presentation will be held in room 2007 of the iLOFT Building on the campus of Lorain County Community College in Elyria. Meeting time is 6:30 pm. For further information contact jjjablon@aol.com. The ground hog must have seen its shadow! The Quincy Gillmore Civil War Round Table meeting for Monday, February 2 has been postponed due to the poor weather conditions. Our presenter, Steven Abbey, has agreed to postpone his presentation to Monday, February 9. Hopefully we will then be able to hear his presentation, "Mary Todd Lincoln: Money, Madness and Victorian Conventions" at the usual time and place, Lorain County Community College's iLOFT Building, room 207 at 6:30. Any questions may be sent to jjjablon@aol.com. Quincy Gillmore CWRT member Steven Abbey will present his program "Mary Todd Lincoln: Money, Madness and Victorian Conventions" at our February 2 meeting. Steve, a retired academic and lawyer, will examine the case of the former First Lady that eventually resulted in her being declared mentally incompetent and confined to a mental institution. Abbey taught U.S. history, American Government and various other courses over a thirty-nine year career. He served as an adjunct instructor in American history at Kenyon College for ten years while also teaching business department courses at Lorain County Community College. He was in private law practice from 1985 to 1989 and was a presenter for the Ohio Humanities Council in 1987 for the Bill of Rights Bicentennial. 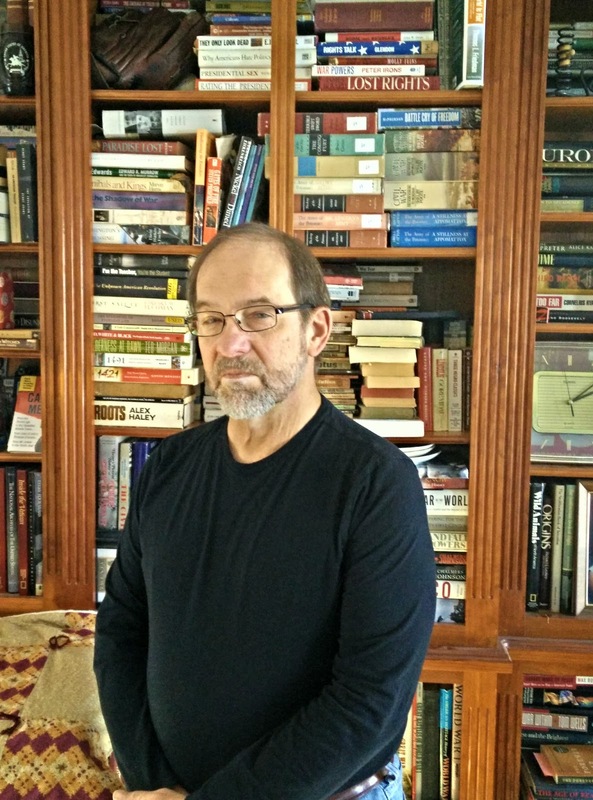 Now retired, Steve has been seriously reading World War II and Cold War history, working on genealogy, and trying to deal with what he calls the "detritus" of an academic career. His presentation on Mary Todd Lincoln to QGCWRT will be his first to a Civil War Round Table. Some time ago, QGCWRT member and Gillmore historian Matt Weisman sent me an interesting local history site called "That Woman's Weblog." 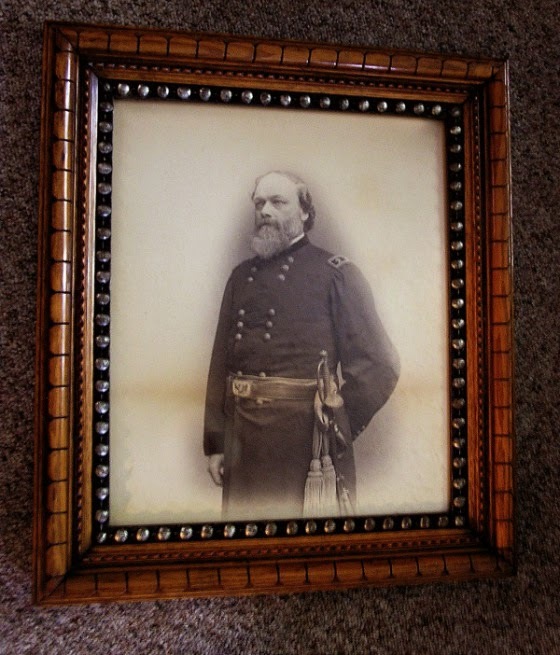 In it were a number of photos of the general's descendants and also the one above, showing a rather portly Gillmore, from later in life, during the 1880's, probably when he was living in New York City. During his time in New York, Gillmore worked as a civil engineer and wrote a number of engineering works on structural materials that were classics in the field. He also was involved in reconstruction of East Coast fortifications, including some of which he had helped destroy during the Civil War. Gillmore died in Brooklyn in April 1888 at the age of 63. His son and grandson, both named Quincy, became generals in the U.S. Army. Membership in the Quincy Gillmore Civil War Round Table is open to anyone with an active interest in the study of the military, political and social aspects of the American Civil War, including the events leading up to the Civil War and events of the Reconstruction Era. Annual dues are $35 for adult individual members or $50 for a married couple or family consisting of at least one adult and any related children over the age of sixteen. The dues for a full-time student over the age of are $15. The dues help to defray operating costs as well as speaker fees. Meetings are held September through May. The round table meets on the second Monday of September and the first Mondays of the following months. Meetings are generally held on the campus of Lorain County Community College in Elyria, Ohio. Meetings begin at 6:30 p.m.
Changes in the meeting date, time or location will be be announced to the membership via electronic and postal mail or at our blog www.quincygillmorecwrt.blogspot.com in a reasonable time frame. General Quincy Adams Gillmore wants you . . .
to attend the December 1, 2014 Quincy Gillmore Civil War Round Table meeting!!! The topic: "The Atlanta Campaign"
On December 1, our round table will welcome Joan Kapsch, a National Park service guide at the James A. Garfield National Historic Site in Mentor, Ohio. Ms. Kapsch, a Cleveland State University graduate, will speak on General William T. Sherman's 1864 campaign that helped guarantee Lincoln's re-election. Joan will explain the significance of the campaign, in both its military and political aspects. She points out that while the country was obsessed with Grant's stalemate outside Petersburg, Sherman won the most important victory of 1864 in Atlanta. Involved in local history for nearly forty years, Joan has been with the Park Service since 1998. She has written articles for a number of publications. She was the principle write of "Mentor, the First Two Hundred Years" and is nearing completion of a guidebook for the James A. Garfield NHS. room 207. The meeting room opens at 6:30 and the speaker will begin promptly at 7:00 p.m. Guests are welcome and membership forms are available for those who are interested in joining. For more information contact Jim Jablonski at jjjablon@aol.com. Following his capture of Atlanta in the summer of 1864, Sherman set out on his march to Savannah, Georgia. A Union officer held captive in a Columbia, South Carolina prisoner of war camp heard of the march and was inspired to write a poem commemorating it. Major Samuel Hawkins Marshall Byers of the 5th Iowa infantry was taken prisoner during the Battle of Chattanooga. His poem "Sherman's March to the Sea gave the campaign its name. Below are the final two paragraphs of the poem. As Sherman marched down to the sea. This day fair Savannah is ours." When Sherman marched down to the sea. The poem is said to have been smuggled out of the prison in the wooden leg of an exchanged prisoner and became a popular song in the north before the end of the war. 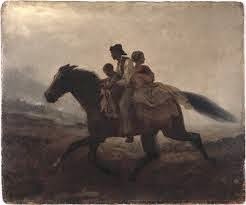 Byers later escaped from the camp and was sheltered by a slave. While riding in triumph through the streets of Columbia, Sherman was approached by a number of shabbily dressed former prisoners. One of them was Byers, who slipped the general a piece of paper on which was written the poem. Byers later served on Sherman's staff. He died in 1933 at age 95, the last surviving member of the 5th Iowa. References: "Major Samuel Hawkins Marshall Byers," www.scriptoriumnovum.com; Marszalek, John F., "Sherman: A Soldier's Passion for Order." Who Was General Quincy Adams Gillmore? 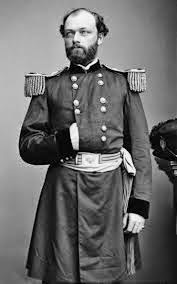 Nearly forgotten today, General Quincy Adams Gillmore was recognized as the greatest artillerist and engineer of the American Civil War. Going against the conventional wisdom of the military authorities, Gillmore proved that modern rifled cannon could destroy a masonry fort at distances of up to a mile. In forcing the "state of the art" Fort Pulaski into surrender and later destroying Fort Sumter, he changed the nature of warfare throughout the world. Never again would any nation rely upon free standing, above ground fortifications. Gillmore was one of the first Union generals to employ African-American troops in serious combat roles. He ordered his forces integrated and used the 54th Massachusetts in the assault on Battery Wagner outside Charleston, the subject of the movie Glory. Later, his long artillery campaign to take the battery ironically proved the usefulness of earthen and sand fortifications, also leading to changes in defensive operations. Gillmore's forces eventually entered Battery Wagner on September 7, 1863. Gillmore also commanded new recruits, invalid soldiers and units of the XIX Corps in the defense of Washington during Jubal Early's 1864 raid on the capital. After the war, he continued to work as a civil engineer and was involved in improving coastal defenses. 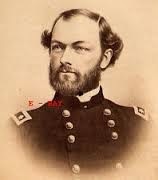 Born in Black River (now the City of Lorain), Ohio on February 28, 1825, Gillmore seemed destined for greatness. His father learned of John Quincy Adams' election to the presidency on the day of his son's birth, a coincidence that provided Gillmore with his given names. The Gillmores were early settlers of the new town and owned a large, 1000-acre farm along Lake Erie to the mouth of the Black River. Quincy worked the farm with his father Quartus during the summers but attended a school in Norwalk, Ohio during winters. Later becoming a teacher at Elyria High School, Gillmore came to the attention of the local Congressman, E.S. Hamlin, who appointed him to fill a vacancy at West Point. Although opposed to his son's decision on a military career, it is said Quartus Gillmore was won over when Quincy promised to finish first in his class, a promise he fulfilled when he graduated at the top of the Class of 1849. Today, the Quincy Gillmore Civil War Round Table, based in Gillmore's Lorain County, Ohio, is dedicated to both the study of the Civil War and the memory of that war's greatest artillerist and engineer. References: Biographical Encyclopedia Ohio - 1876, Galaxy Publishing Company (courtesy of Lorain Historical Society); Cooling, B. Franklin, Monocacy: The Battle That Saved Washington, White Mane Books; Quincy Adams Gillmore, Wikipedia.